The Great Heath in Maine's Washington County. Cutler Coast Public Reserved Land is located in Cutler, on Maine’s eastern coast. The igneous bedrock, some of which forms impressive basalt columns, was deposited roughly 420 million years ago. Native Americans lived in the area for hundreds of years before European settlers colonized it in the 17th century. Now, the Cutler Coast Public Reserved Land is a 12,234-acre stretch that includes blueberry barrens, peat bogs, woodlands, and 4.5 miles of headlands. The area is popular with hikers, who enjoy over 10 miles of trails leading to steep cliffs overlooking the Bay of Fundy. Bird-watchers, campers, hunters, and ATV riders also use the land. There is no entrance fee; call 207-941-4412 for more information. The Donnell Pond Unit is located 12 miles east of Ellsworth off of Routes 182 or 183. The unit features 14,000 acres of protected land, most of which is remote forest. The land also includes clear lakes, small ponds, and low mountains with panoramic views of the surrounding countryside. Recreational users of this land enjoy boating, camping, cross-country skiing, swimming, canoeing, hunting, snowshoeing, and fishing. The unit includes a hand-carry boat launch, a trailered boat launch, and a picnic area. There is no entrance fee and the land is open year-round; call 207-941-4412 for more information. The Duck Lake Unit is located in northern Hancock County, approximately 70 miles northeast of Bangor. To access the land, you must traverse rough private roads. From Burlington, take an extension of Route 188. If approaching from the south, take the path from Stud Mill Road. The Duck Lake Public Reserved Land encompasses 27,000 acres of forest, rolling hills, streams, wetlands, and crystal clear lakes. Many visitors use the waters for fishing, swimming, boating, or ice-skating in the winter. Primitive campsites are available, as are ATV and snowmobile trails. There is no fee to enter, and visitors are welcome year-round. Call 207-941-4412 for more information. Great Heath Public Reserved Land is located north of Cherryfield in Washington County. 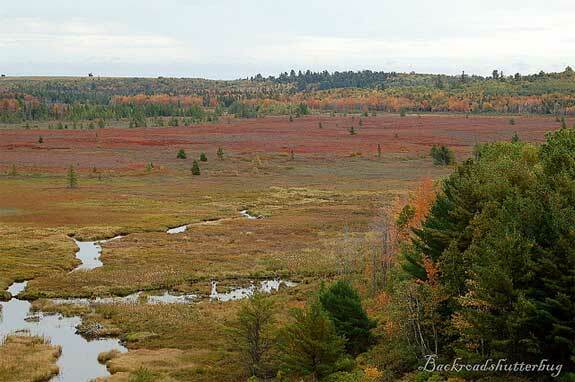 The topography is typical of eastern Maine, with meandering rivers, large peat bogs, and other wetlands. The area is popular with canoeists, who enjoy the flat paddling opportunities in the relatively slow-moving channel. The land is accessible via unmarked gravel roads north of Cherryfield; call 207-941-4412 for more specific directions. Entrance is free and open to the public year-round. The Machias River stretches for 76 miles, from Fifth Machias Lake to downtown Machias. The Machias River Corridor protects over 60,000 acres of land surrounding the Machias River. This river is the largest self-sustaining wild Atlantic salmon run in the United States, making it a premier destination for fishing enthusiasts. Canoeists also enjoy paddling the river because of its remote location and beautiful scenery. This area was also named a Globally Important Bird Area by the American Bird Conservancy. Birdwatchers may find up to 180 species of birds, including 23 species of warblers. Rough logging roads provide access to the Machias River Corridor, although they are only accessible from June to October. There is no entrance fee to this land unit; call 207-941-4412 for more information. Rocky Lake Public Reserved Land is located near East Machias in eastern Maine. The land unit features a variety of wildlife, including bald eagles, 10 species of fish, snowshoe hare, bobcat, coyote, bear, deer, moose, and fishers. The property also includes a four-mile stretch of the East Machias River, with a strong sea-run Atlantic salmon population. The Maine Bureau of Parks and Lands manages 117 acres of the unit that border Patrick Lake. A gravel boat ramp, picnic area, and parking area are available for use in this part of the property. The land also features 11 primitive campsites along the waterfront in addition to several other sites throughout the property. You can access the land by Diamond Match Road, north of East Machias. There are no entrance or camping fees; call 207-941-4412 for more information.